HR and management professionals just getting into the incentives and rewards game may not have had the formal training to prepare them to implement and execute these programs successfully. That’s why we’re thrilled to have been a sponsor of the new e-book just released, "The Art and Science of Engaging Rewards," which gives professionals a roadmap for creating their own programs in their organizations. With Employee Appreciation Day coming up this Friday, March 4th, workplaces around the country are looking for ways to say “thank you” to their workers. Yet with almost half of the workforce feeling underappreciated, employee appreciation needs to be a year-round effort, not just a single day. New Warehouse Dash® Video Just Released! We’re thrilled to release our new promotional video of our Warehouse Dash® event! Our creative team has been hard at work putting this video together, and we’re truly excited to share it with you. See what the buzz is all about here. 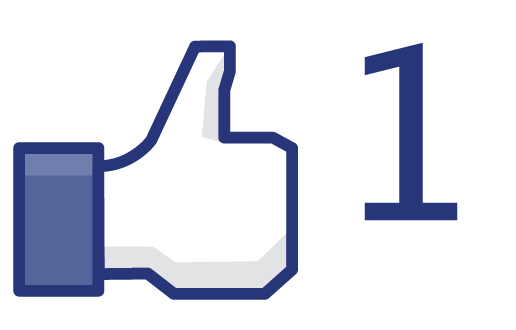 Facebook Likes = Instant Rewards? We've discussed on this blog before whether or not rewards could improve Facebook engagement. It seems that one company believes this possibility to be true. According to insidefacebook.com, Momentous Media has released a new app called Insto.re is allowing retail locations to rewards likes. It's almost like they read our post way back when (okay, maybe not but...). The whole idea is to improve the amount of Facebook likes a business can get by providing something to their "Likers" in return. The app allows store owners to pick which page they want to drive Likes for and set up a promotion accordingly. For example, if you run a coffee shop, you could offer a free cup of coffee in exchange for a Facebook Like. Once the promo is set up, Insto.re sets up a mobile-friendly custom web page for the coupon and even provides a free tent card to display at your store explaining the promotion. The tent card is a crucial part of the process with no loyalty program being complete without a clear explanation of what actions require a reward. Could we see more things like this? This is one method of using noncash rewards to drive behaviors, even if that behavior is something as simple as liking a Facebook page. The one thing that businesses will face won't be attracting fans as much as doing what they can to keep their fans. Could a rewards system work to maintain fan relationships as well? What do you all think? Could Incentives Improve Facebook Engagement? A recent article on Brandweek discussed how some brands (mainly food) are dangling incentives in front of people to encourage Facebook Fan Page growth. The article investigates coupon efforts on the part of Healthy Choice and a sweepstakes effort from Jack-in-the-Box that are rewarding people for becoming fans. Efforts made by these companies are certainly doing an effective job bringing people to the table but it's not enough to just get people there - it's just as important to keep them. Engagement on brand Facebook pages is just as - if not more important - than just having fans. There has been several studies on the value of a fan but the results really can't be accurately justified as results. An organization with ten thousand "Likes" may not be generating as high of an ROI as a page with only one thousand. It's not the numbers that drives brand loyalty but the interaction and conversation around the brands. In other words, the focus of these brands shouldn't rest soley on gaining "Likes" but also encouraging the Likers to become content contributors toward the page. So how do they go about influencing this behavoir? Jay Baer recently posted about how our measurement of Facebook "Likes" is way off. Just having an arbitrary number doesn't do much to drive business. Facebook pages will have a much more significant impact on your business if you give people a reason to participate. Incentives are one method but should be used beyond simply rewarding a button click. Using rewards to influence people to engage on your page and take time to interact with your brand will reap the best long term business success. We've talked before about adding a game layer to incentive programs - a concept that is definitely applicable here as well. You could have contests or award people points for interacting with your brand. These interactions could be starting up discussions on a message forum on the site, uploading viral video onto the page referencing one of your brand's products, or even contributing blog posts about your brand with the chance of being rewarded in some way. If a company is willing to incentivize their fan page, they might as well do it right, instead of stopping short at just "Likes."